Well done. That is a lot of stitching. Well done! This quilt is a beauty, all hand quilted! Congratulations on making your own monthly goal! That quilt looks great and so cozy. Congratulations on finishing your monthly goal. Love it! I still haven't started my big stitch quilting project....but you keep inspiring me! I love it! So pretty. I'm old now and find myself glancing back over the roads taken in my life. The way you photographed your gorgeous quilt made me think of roads...LOL. The roads are all over the place...giggle! I didn't quite stay on the straight and narrow. Made me smile. It was a bumpy ride. Congrats on your finish. Love your big stitch quilt. The colours are bright and happy. Look at all those link ups! How wonderful that so many have accomplished their goals. Your quilt is coming along beautifully! Congrats on all the progress for September. I'm probably not going to reach my OMG goal this month. There's been a lot of progress, but I didn't get as much as I had planned. Love your quilt--it looks great! 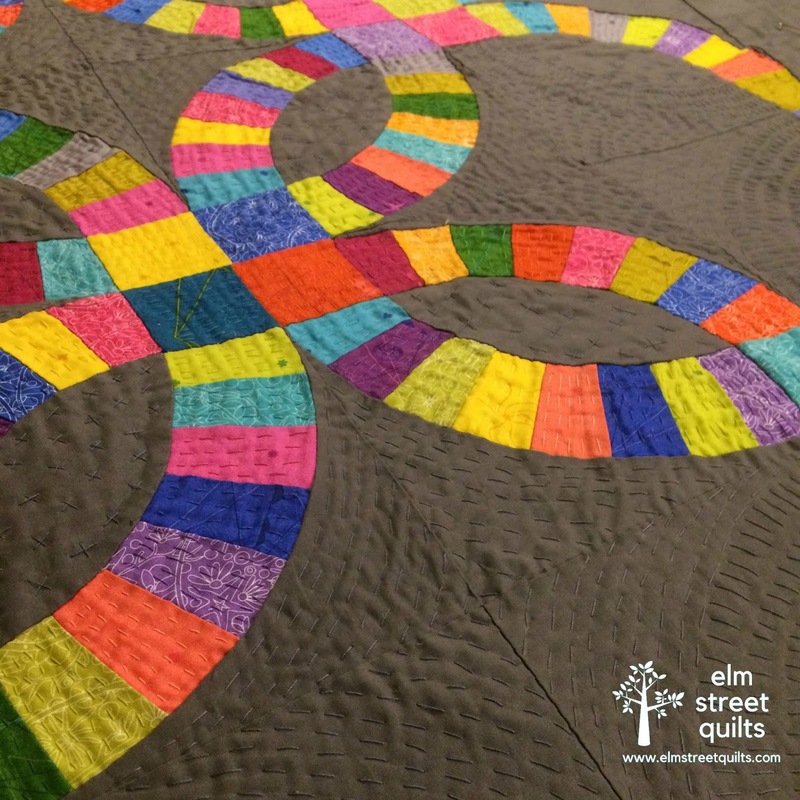 I love the happy cheery brights in this quilt! Beautiful hand stitching too! I love how the colors pop on the grey background. I love your hand stitching and how you have it echoing the path of the rings! Sweet! Your colour quilting looks great and it looks like you have a good start on the background outside the rings as well. Those are a lot of stitches! They give a lovely result. What type of thread did you use? 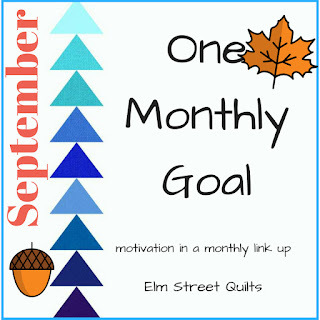 Are we only supposed to link if we met our monthly goal? Because I didn't! I am much slower at hand stitching than I used to be.